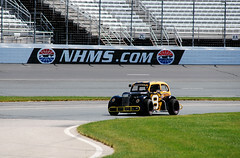 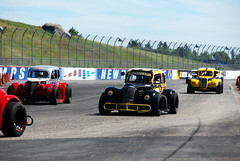 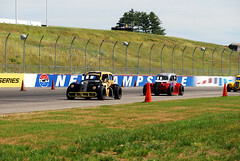 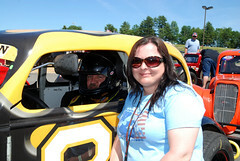 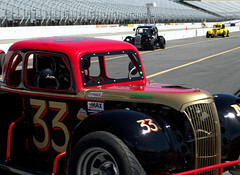 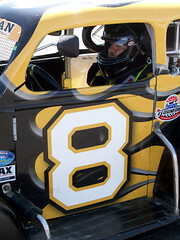 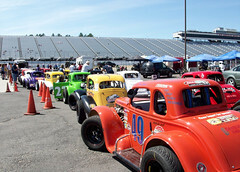 The Amsoil Nelcar Legends Tour was back at New Hampshire Motor Speedway on Father's Day for the second of two road course races for 2011. 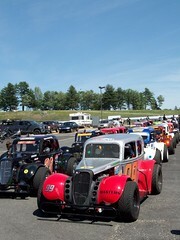 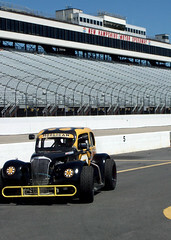 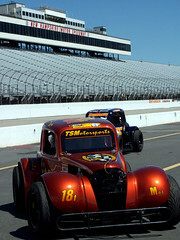 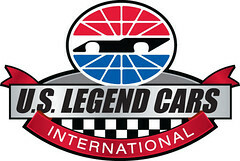 The race was a National Qualifier for the Legends Road Course Nationals being held later this year and featured a full field of 26 cars. 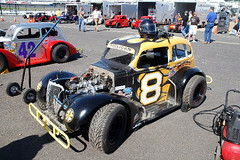 It was a day full of exciting racing on the track and the Hooligan Motorsports # 8 scored another Top 15 finish, coming home in 12th. 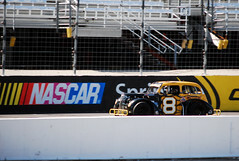 However, the big talk of the day was the Boston Bruins Stanley Cup Championship and our paint scheme! 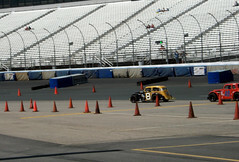 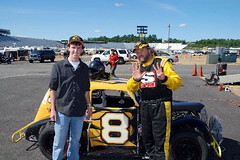 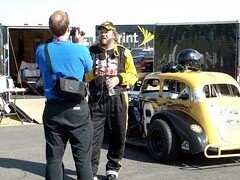 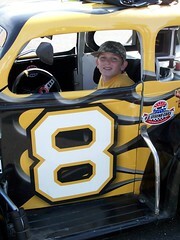 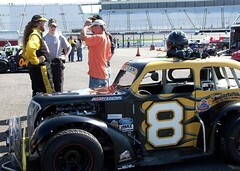 Matt had two post-race interviews which resulted in features in the Union Leader and on the NHMS website. 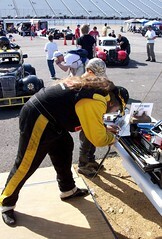 Signing autographs for the fans.